Cash Adventure is a $3 game that offers 10 top prizes of $50,000. Scratch the YOUR COORDINATES area to reveal 20 different coordinates (letter-number combinations). Do not scratch the entire TEMPLE GRID area. 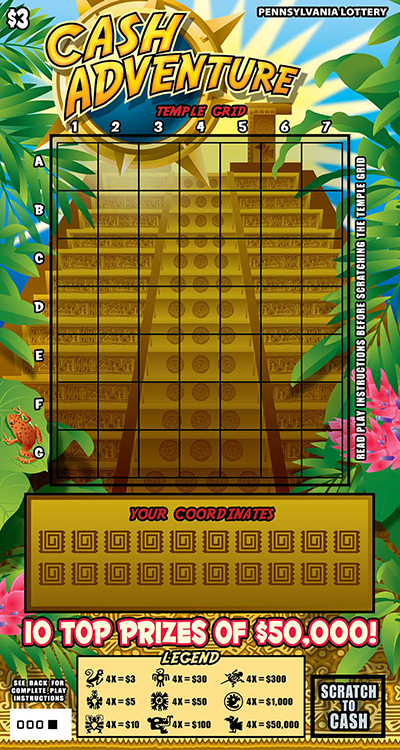 Find the corresponding grid locations for each of the revealed coordinates on the TEMPLE GRID and scratch ONLY those squares. 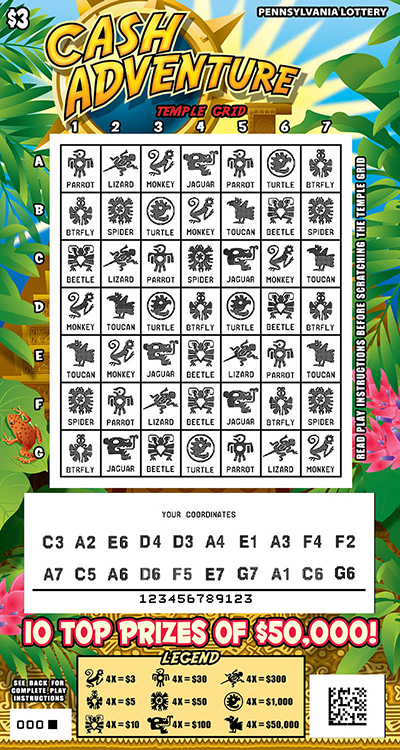 When you reveal four like play symbols using YOUR COORDINATES, win prize shown for that symbol in the LEGEND.